With at least 25 confirmed updates by Google since launch, the Panda update(s) has given many a webmaster reason to be upset or angry. Google introduced the update early in 2011 to help better manage sites with content that was of poor quality from being indexed well. The reason it has caused so much agony in the past for those in SEO and webmasters both is that sites which might be doing very well one day may not even be indexed the next. There’s no reason to panic if your site’s been panda slapped, as recovery is just a matter of adapting your SEO practices. It’s what makes SEO an ever changing dynamic field. Unfortunately no, whether we’re talking Panda, Penguin, or some other benign-animal-named update, the updates will just keep coming. In fact, Matt Cutts, Google’s webspam head, confirmed in June of this year that Panda is in fact still being updated monthly. 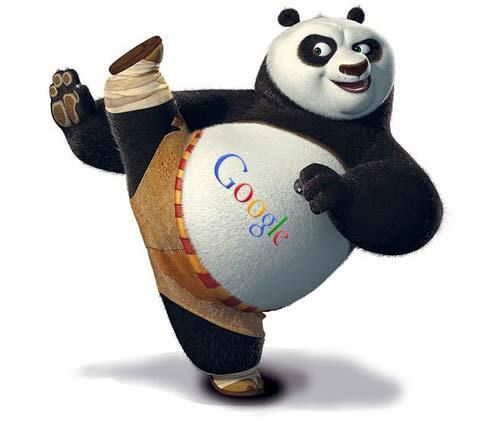 Even worse, Google will stop giving fore warnings of future Panda updates since they carry it out on a rolling basis. However, there are ways to fight back, adapt and help your site recover. If anything is duplicate or auto generated content, remove it. Duplicate content does not necessarily even have to be absolutely identical since many people in SEO attempt to spin the same articles or topics off with just different titles and wording. However, Google knows this too. In the case of your website, it’s better to be original than sorry when it comes to generating content. You want your site to be better indexed by Google, so why not just figure out what it is Google wants? Check out Google’s Webmaster Central Blog and go over the search engine’s quality guidelines. They outline what is classified as “manipulative or deceptive behavior.” Be sure you don’t fall under such classification. There are ways such as local and national directories, guest blogging, and PR that allow for some quality forms of building your backlinks. However, not all practice honest link building practices, and some engage in link schemes. More often than not this involves an exchange of money for a link, so turn down anyone who offers you a backlink for some quick bucks. You’ll save yourself money and your site a lot of trouble. Clear up any links on your site that link back to low quality content or spammy sites, as their poor quality also hurts yours. Also be gradual about your link building process, as any excessive amount of it can result in your indexing taking a panda hit. Session IDs or arguments are useful to see how users might navigate your site, but this comes at a steep price. It prevents bots from fully crawling and indexing your site, which can severely harm your SEO. If you believe a mistake was made or you’ve cleaned up your site’s act, it’s time to take advantage of Google’s second chance, reconsideration requests. Such a request can be found off Google’s webmaster tools. About Author: Dr. Mina Tadros is the head of Tadros Dental in Houston, Texas. Dr. Tadros recently started an SEO campaign to extend his dental practice.